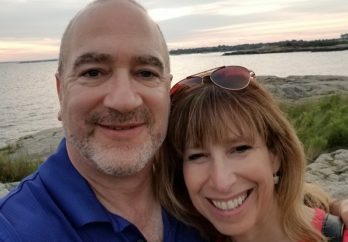 We are thrilled to have Larry Robiner, a father of a young man in recovery and a Partnership Parent Coach, at our upcoming Winter Wish Gala on December 4 in New York City. Read his story below. Sixteen years later, the day that I had long dreaded finally arrived. And you know what? He was an excellent driver from the start. All that worrying for nothing. I remember thinking that I never had to worry about my son misusing drugs and alcohol because he never wanted to put so much as a carbohydrate in his body. But our blissful ignorance was shattered when my phone rang one afternoon in February during his junior year in college. His friend in Colorado called to report horrific news of drugs and police, all spiraled way out of control. Rachael and I were completely dumbfounded. We couldn’t fathom how this could be happening. We thought our son was studying in the library. The next days were a blur, as we shifted into our instinctual parent rescue mode, while also struggling to piece together the how and why, what did we do wrong, and should we have known. I have since spent over three years learning about the disease of addiction and substance use disorders. I learned that it hijacks the brain’s ability to make rational decisions, that I didn’t cause it, can’t cure it and can’t control it. I learned that 23 million Americans are currently addicted to alcohol and/or other drugs — and only one in 10 of them receives the treatment they need. "I learned that addiction hijacks the brain's ability to make rational decisions — and that I didn't cause it, can't cure it and can't control it." We were among the lucky few who found the treatment that our son needed. We found good advice from a wise counselor who knew what we didn’t about treatment and recovery. Fortunately, we encountered a genuinely caring legal system that believed in rehabilitation instead of retribution. And our son, out of options, embraced the treatment we found and offered. He learned how to manage his illness, and surrounded himself with a supportive community of compassionate and dedicated souls who had traveled his road before him. But my worry still remained. Relapse is such a common occurrence, and I still suffered from PTSD from that February call that had jolted me out of my serenity and ignorance. I flinched whenever my phone rang and I saw my son’s name on the caller ID. I feared the worst. But this time, his voice was clear and upbeat. “How long do you grill chicken thighs?” he wanted to know. Rachael and I now volunteer as Parent Coaches. For an hour a week, we talk on the phone with other parents who are concerned about their child’s substance use. I especially like working with other fathers, who, by some accident of culture, have learned to keep their feelings to themselves. I don’t have all the answers, nor a magic cure. I do have a little experience, perspective, and a few tools I’ve been taught, like listening openly and allowing natural consequences to be a learning experience. And that worrying, in itself, is not very useful. Sometimes these ideas help. Most often, the parents I coach are just happy to talk to someone who understands a bit about what they are going through, without feeling shame, judgment or stigma. And every once in a while, I get to hear a parent’s pride in their child’s progress. This past summer, I got to see my son graduate from college. He is focused, determined and inspired. He has been sober for over three years. He has a full-time job and talks about going to graduate school. “You will be amazed,” says one of the tent-card slogans at a support group I attend. And I am. 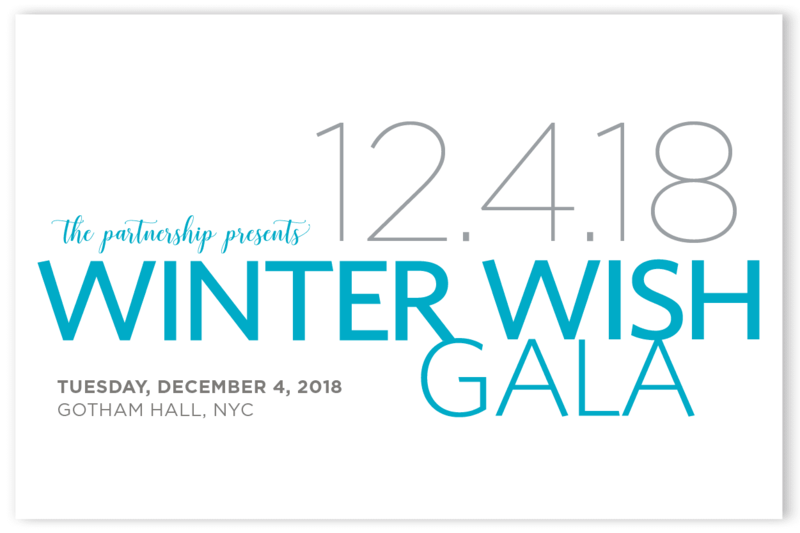 Hear from Larry and other parents at the Partnership’s Winter Wish Gala, our flagship event that brings together over 300 influential leaders to raise critical funds for the families we serve.